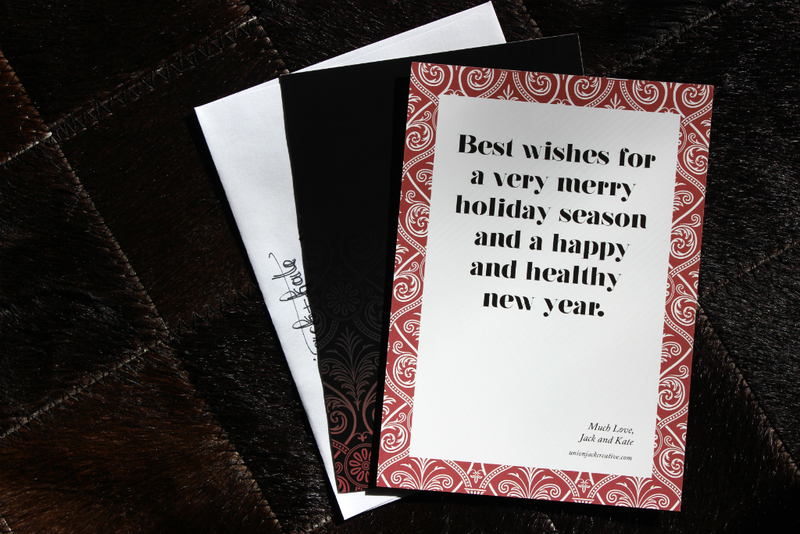 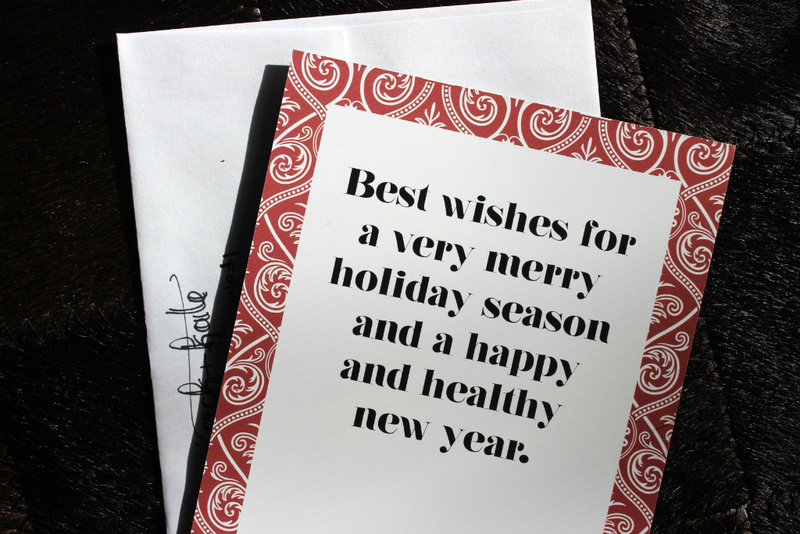 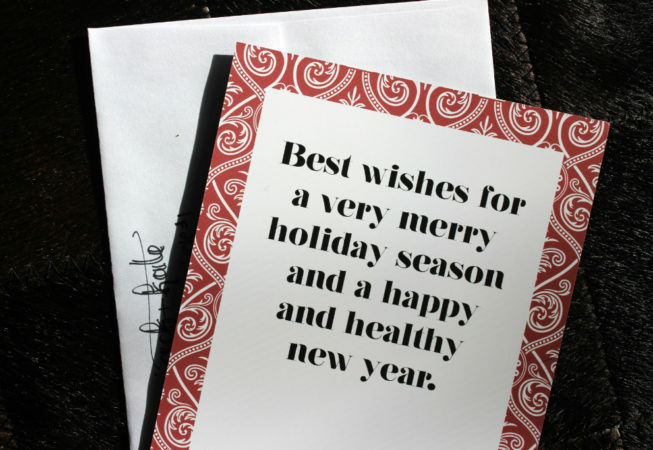 For the 2014/15 holiday season, our 5×7 greeting was designed as a standalone flat card, with the bold, serifed font Nouvelle Vague Black for the festive message. 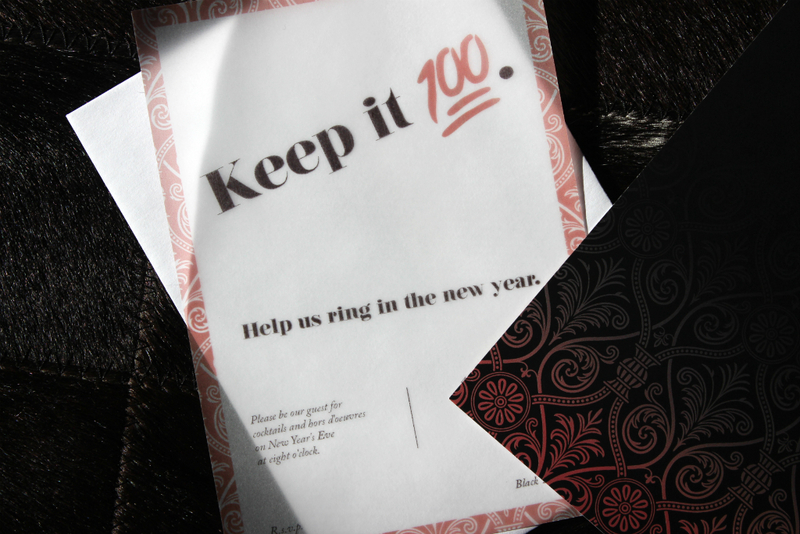 Having traditionally worked with a black (or navy) and gold color scheme for New Years, we broadened the 2015 palette with Pantone’s 2015 Color of the Year, Marsala. 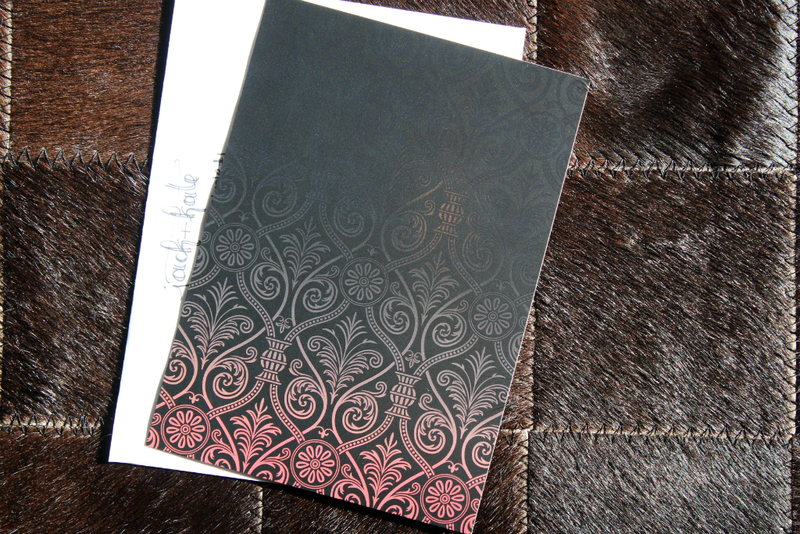 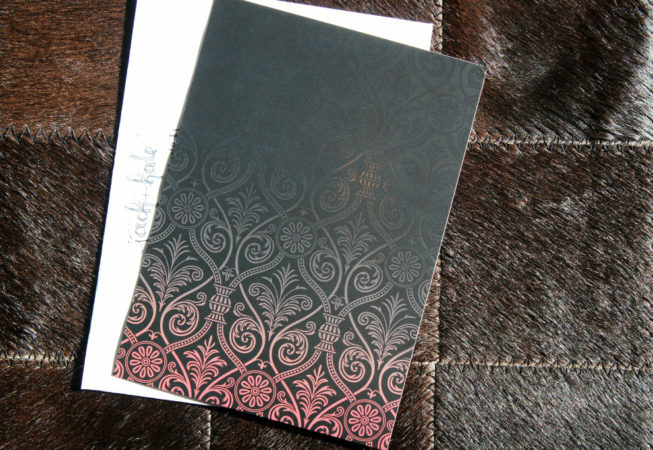 A damask pattern is used both on the front of the card (with ombre marsala fading to black on black) and on the verso, in a marsala border on white. 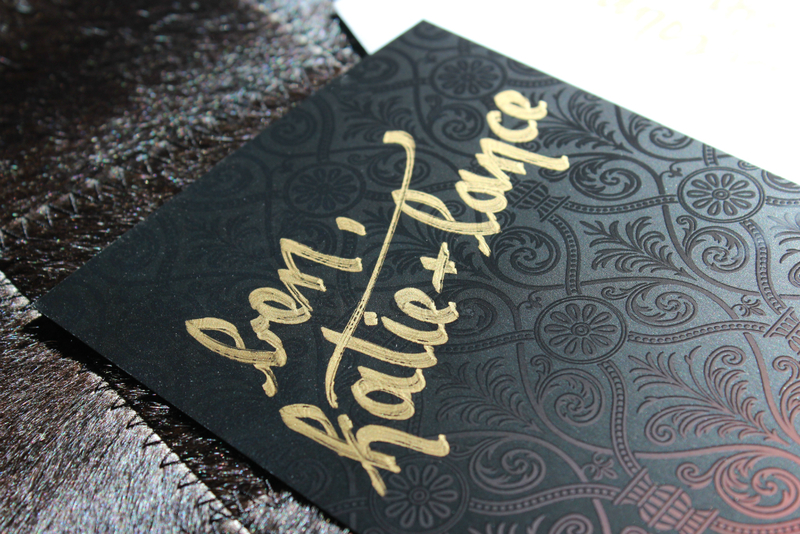 On the card front, UV coating carries the damask pattern across the entire card in gloss on matte black as the marsala ombre fades, and adds a tactile detail. On each card, we used a Krylon gold leaf pen with a chisel tip to letter names of recipients over the UV coated pattern on the front. 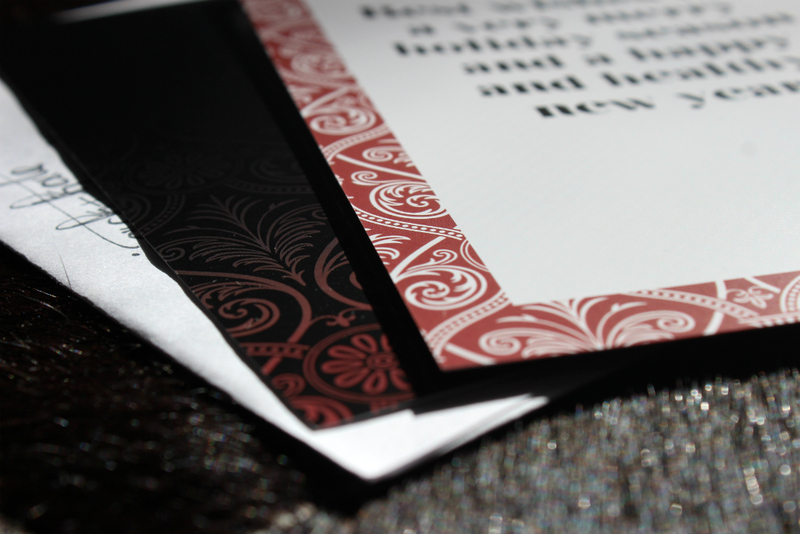 For the invitation component, we carried the marsala damask border into a second design to complement the primary card. 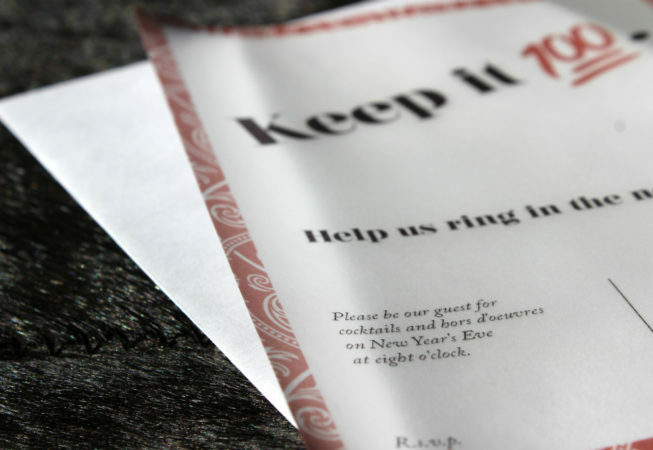 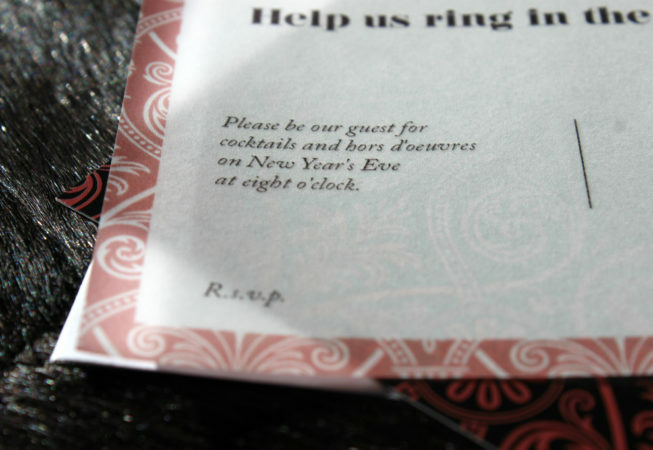 The feature color carried into the vector of the “keep it 100” emoji used in the invitation headline, and the piece was printed on a lightweight, translucent vellum. 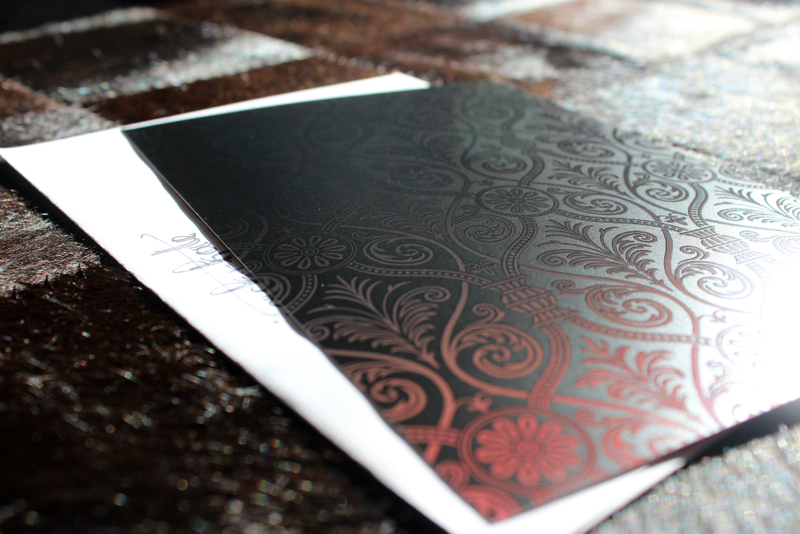 For more photos and a look at the design process, stop by the blog post.